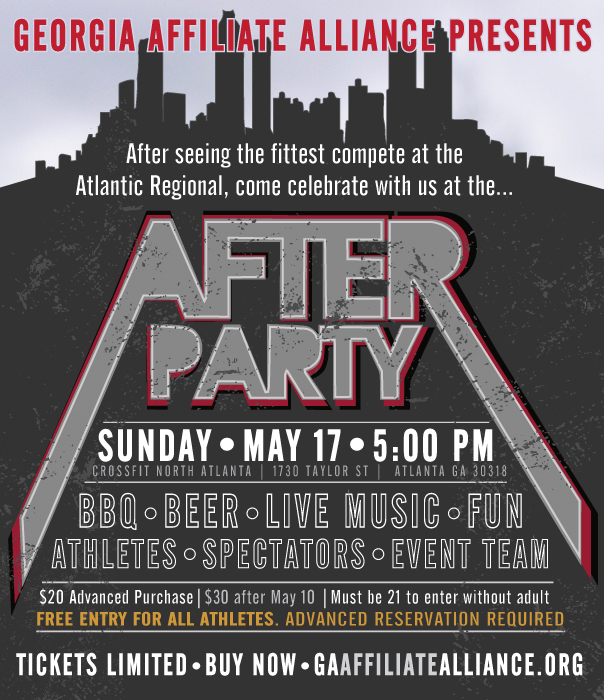 CFM and other local affiliates are hosting the Regionals After Party on Sunday May 17th. 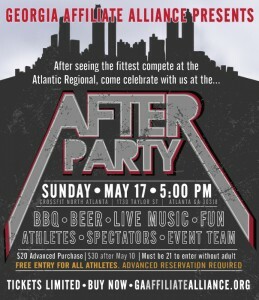 Buy tickets or register to volunteer at GaAffiliateAlliance.org! A. 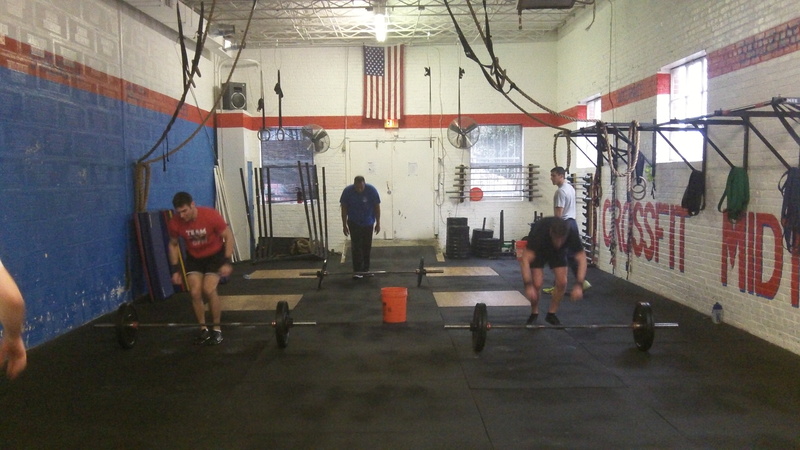 Front Squat: 3 sets of 3. Worksets. Max reps 3rd set. 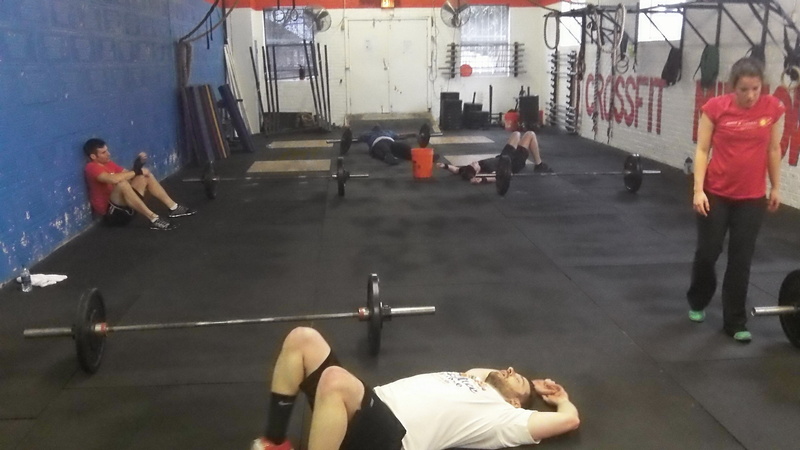 Post load for squat and time for WOD. Ex: 265#, 8:20 (@135#). A. Split Jerk: 2-2-2-2-2. Rest 2 minutes between sets. Same weight for all sets. 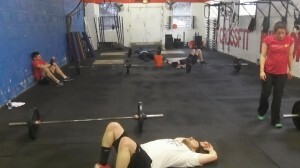 Post load for Split Jerk and rounds and reps for AMRAP. Ex: 210#, 10+8. After. Making some nice sweat angles. A. 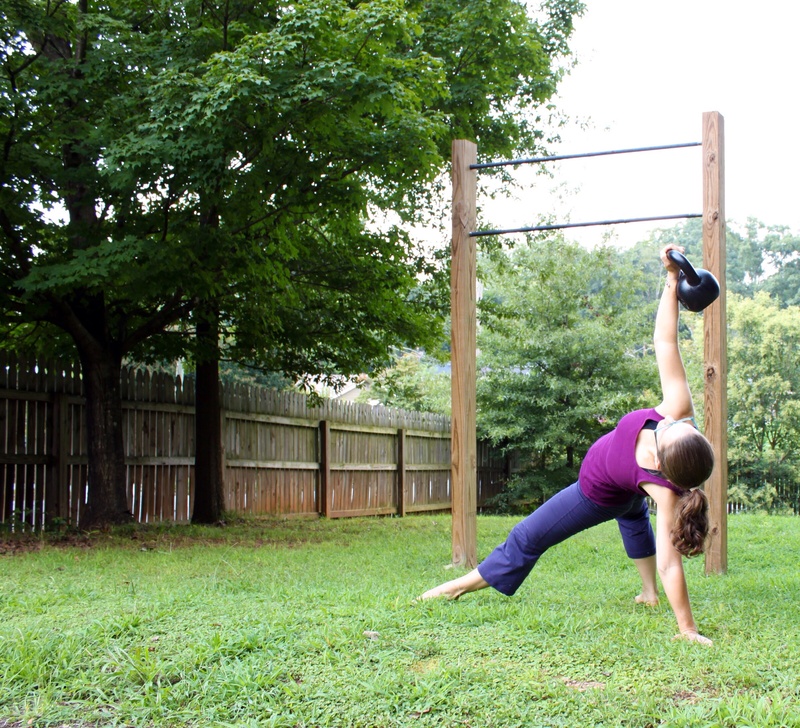 Skill Work/Strength Strict Ring Dips: In 10 minutes work on strict ring dip progressions. **Modify with feet on box. No Bands. Kipping allowed. 8:15p: Yoga CANCELLED for tonight. A. 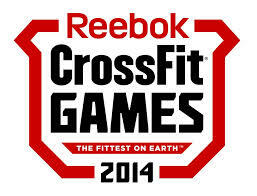 Hang Power Clean (HPC): In 12 minutes 4 sets of 3 reps workups. 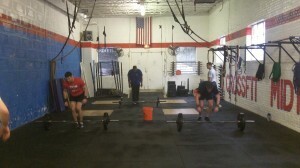 A. Thrusters In 10 minutes skill work on Thrusters or work up to a heavy set of 4. **Modify pullups with ring rows. No Bands.